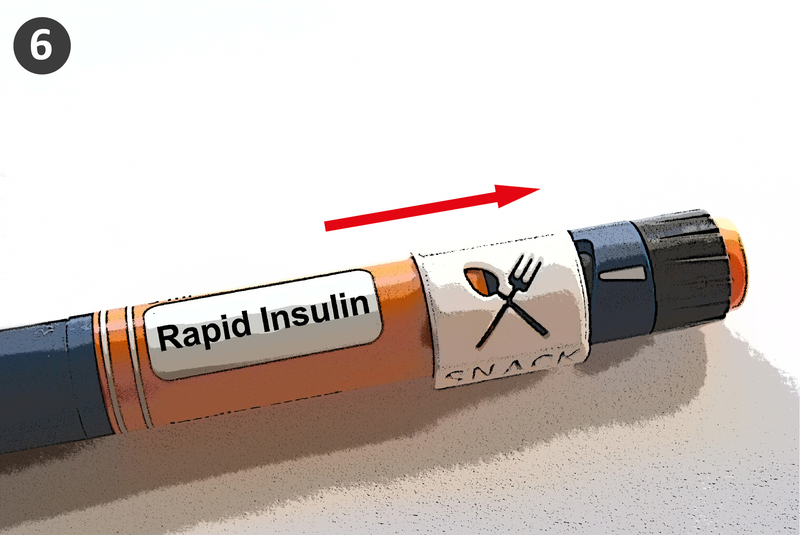 Choose the corresponding part: SNACK for rapid insulin and NOW for slow insulin. Pull the pen cap off and introduce the corresponding part carefully. Check if the symbols have the same orientation as the numbers in the dose indicator. 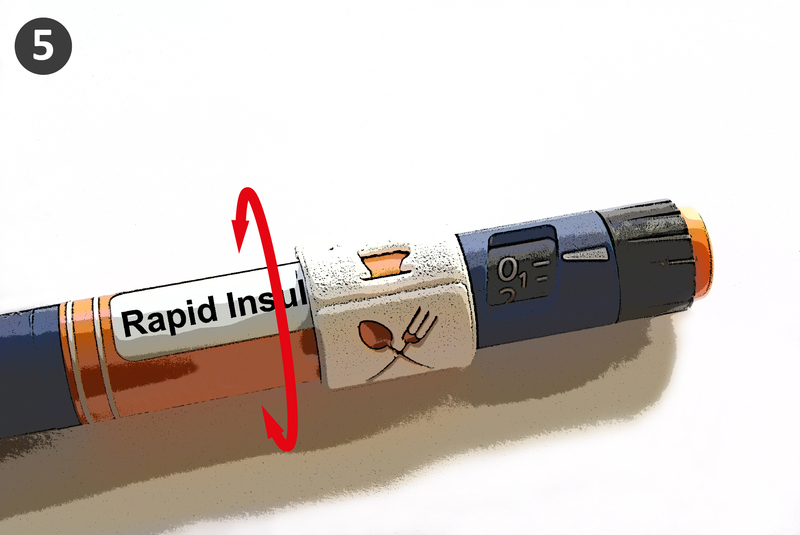 Slide the part in order to leave it closer to the dose indicator. 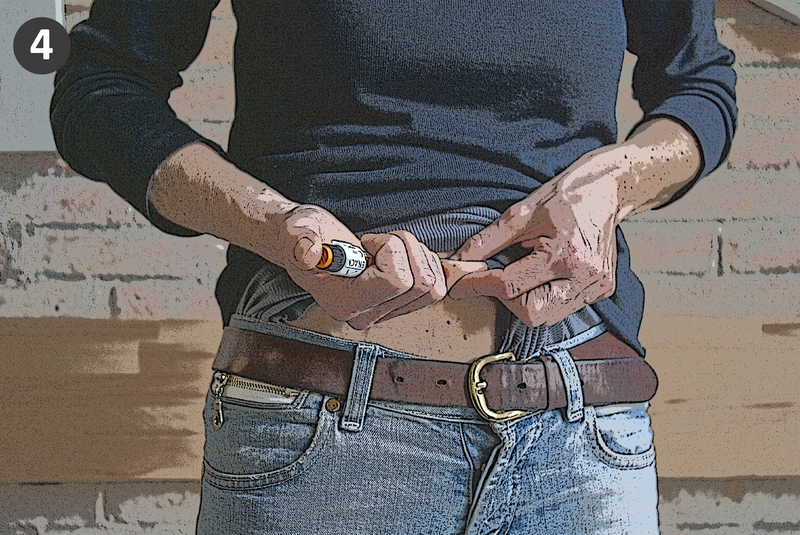 Inject yourself the dose of insulin needed as prescribed by your doctor. After this, close the insulin pen with its cap. 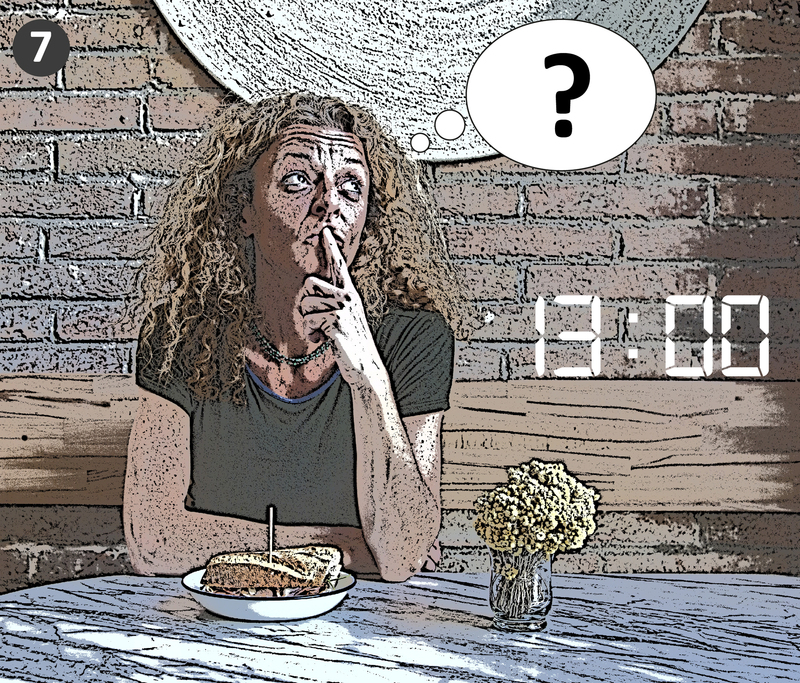 Turn the reminder in order to choose the symbol according to the meal of that moment of the day. Move the reminder to the right in order to cover the numbers on the dose indicator. 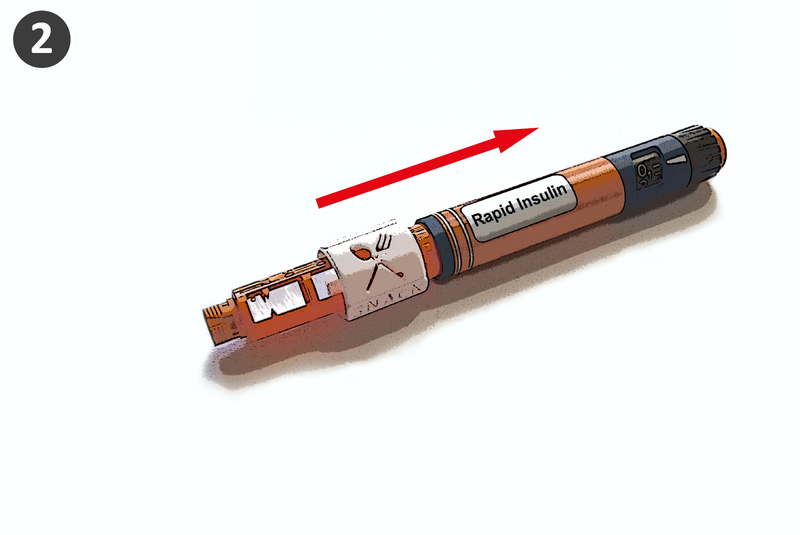 In this way, the insulin pen cannot be used without moving the reminder again. 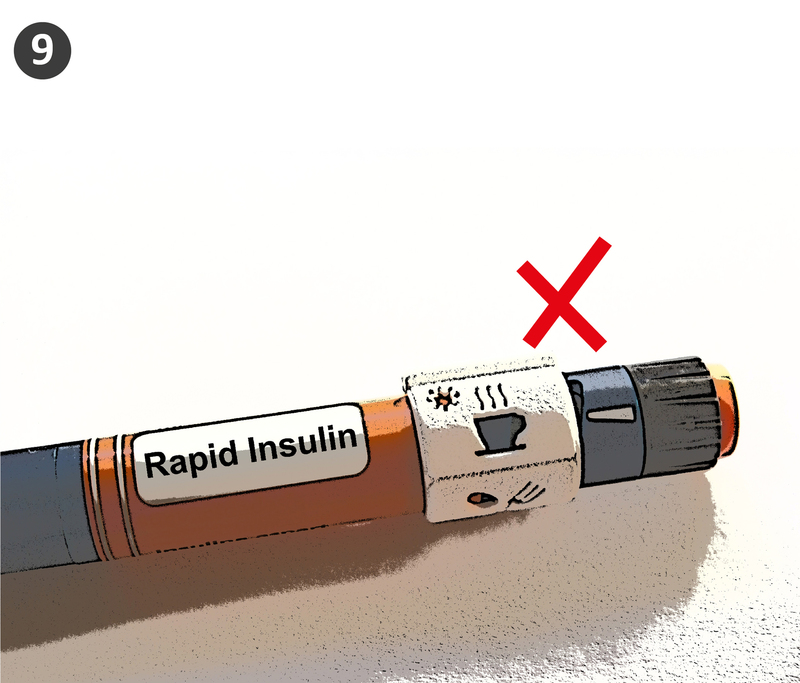 If a few minutes later you cannot remember if you injected your dose or not, it is time to check your insulin pen. If the symbol matches the time of the day, PERFECT! 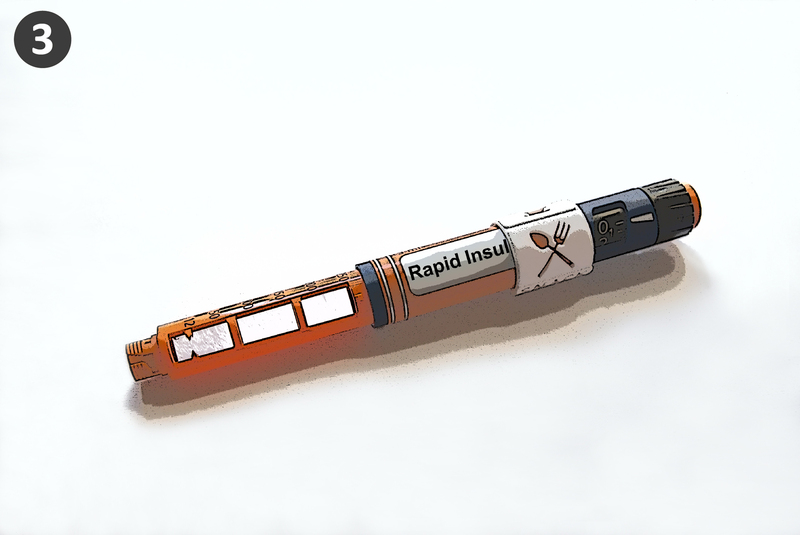 You got your insulin dose correctly. 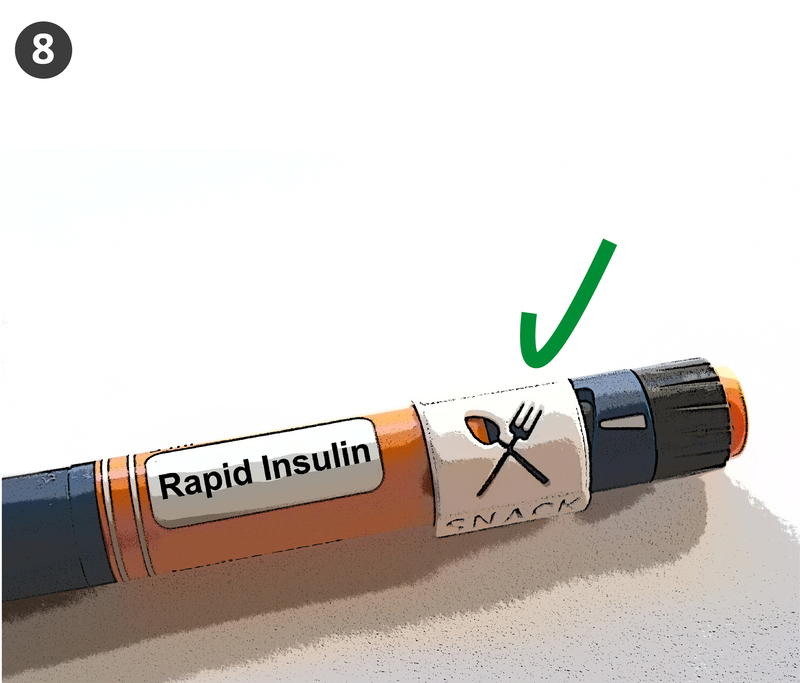 If the symbol is not the expected because it does not match the time of the day, but matches the previous meal, this means that you have not yet injected your insulin dose for the meal you are having now. 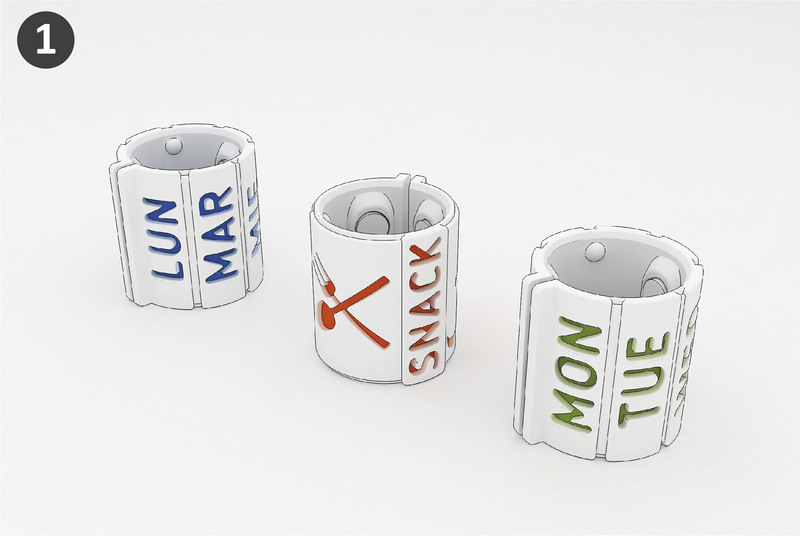 Do you like SNACK & NOW reminders? Granota Studio is responsible for designing unique objects using new production technologies such as additive manufacturing. These new technologies allow the manufacturing of new products more quickly and without major investments. © Copyright 2019 Granota Studio - All rights reserved.